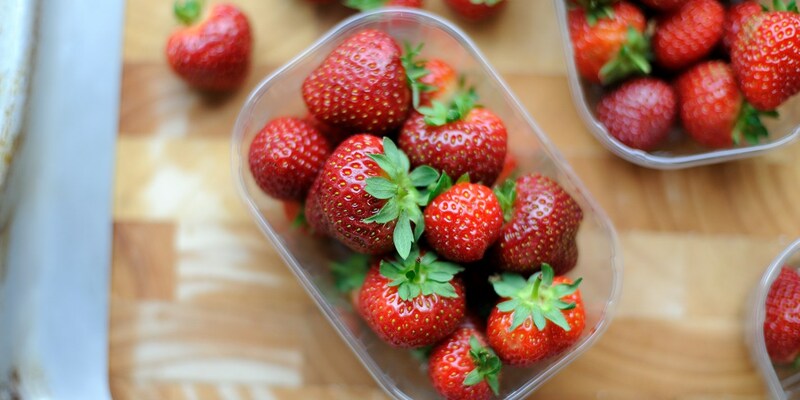 When grocers and markets are overrun with bright red British strawberries you know that summer is finally on its way. Their season tends to run from May until September, with their heady scent and sweet flavour synonymous with light summer dishes. Browse our wonderful collection of strawberry recipes, full of inspiration for how to make the most of this glorious summer fruit. Graham Campbell's Marinated strawberry recipe is a great place to start, offering the perfect preparation method for juicy, tangy berries which can be added to other desserts, such as cheesecake, or simply served on their own with a scoop or two of ice cream. There are some wonderful strawberry dessert recipes to try, including Pascal Aussignac's much-loved Strawberry tart recipe, Dominic Chapman's sublime Strawberry jelly recipe, and Adam Gray's innovative Gluten-free strawberry cake recipe. There are also some wonderful suggestions for using up a glut of strawberries if you find yourself with leftovers - try Adam Bennett's simple Strawberry jam recipe, or Adam Gray's gooey Strawberry compote.